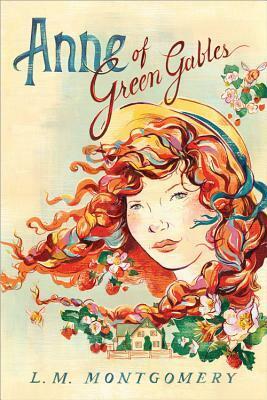 I’m currently reading Anne of Green Gables, and goodness!, why haven’t I read this book sooner? Although sometimes I think a book can’t really speak to us until we’re ready for it, whenever that may be. Anyway, I am loving Anne – this eleven-year old passionate, full-of-life-and-wisdom, little girl. Our children are not our slaves. Their purpose is not to serve us. We are to serve them, through love and discipleship, through discipline and teaching. Who knows what God has in store for them? And He has given us the great privilege of being some good to them. Totally agree, Anne. Joy comes in the morning. Darkness, winter, night – I think those are all things to be thankful for because when the morning does come, it gives us perspective. We understand that it won’t always be dark, it won’t always be winter. There is hope. God won’t always feel far away, we will find Him again. Haha! This makes me laugh. But it’s also a sober reminder that God has given us a choice to listen to Him or not. Just like with our own children – we teach and disciple, but they ultimately have to make the decision to be humble and teachable. I could keep going, but that’ll do for now. I’m about halfway through this book, and it’s quickly becoming an all-time favorite. Thanks for reminding me of how wonderful Anne is! I think PEI people in general can lose sight of her charm, mostly because of the tourist traps built around everything "Anne" here. But they don't define her, the books do! I loved that book! And I look forward to introducing my daughter to Anne one day. :) I'm currently reading The Secret Garden, My Book House Volume 2, and How Then Should We Live? I know, I can't wait until my girls read it! I've never seen the movie...how does it compare? I really do need to read this book! My husband and I both love all of the Anne of Green Gables movies...the ones with Megan Follows. Oh the book is sooooo good! I can't wait to read the rest.